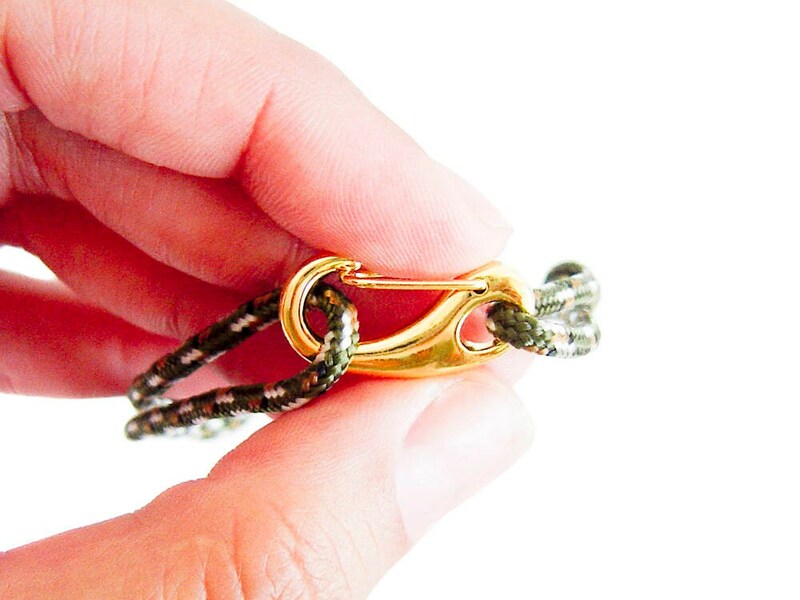 This wrap bracelet is men's bracelet, handmade of rope and mini rock climbing carabiner. 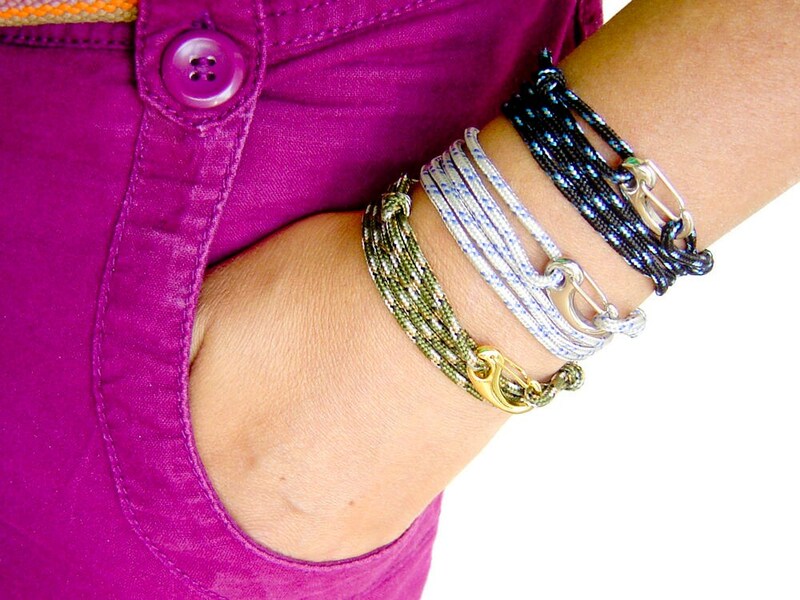 This wrap around bracelet is nice gift for boyfriend and gift for men suggestion. It can be used of women too. It is adjustable one, and one size fits all. 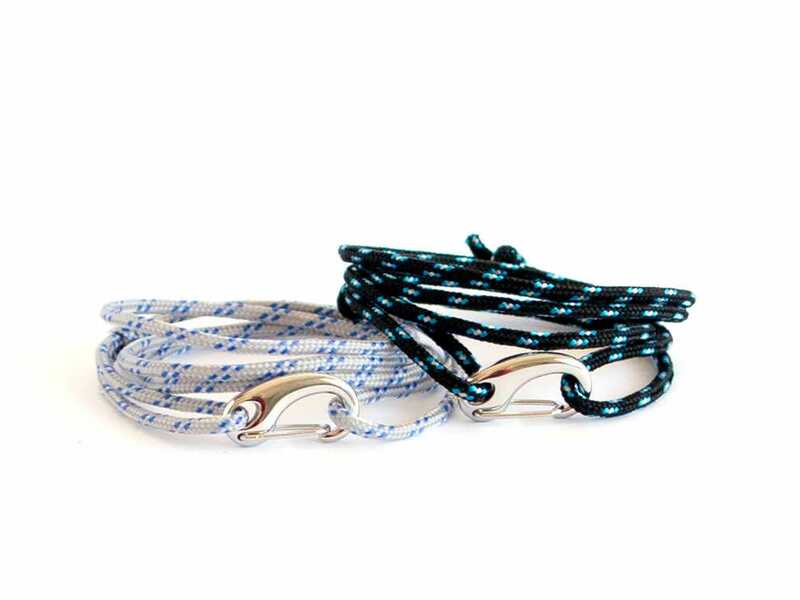 Just slide the knots, and you will get the proper size. 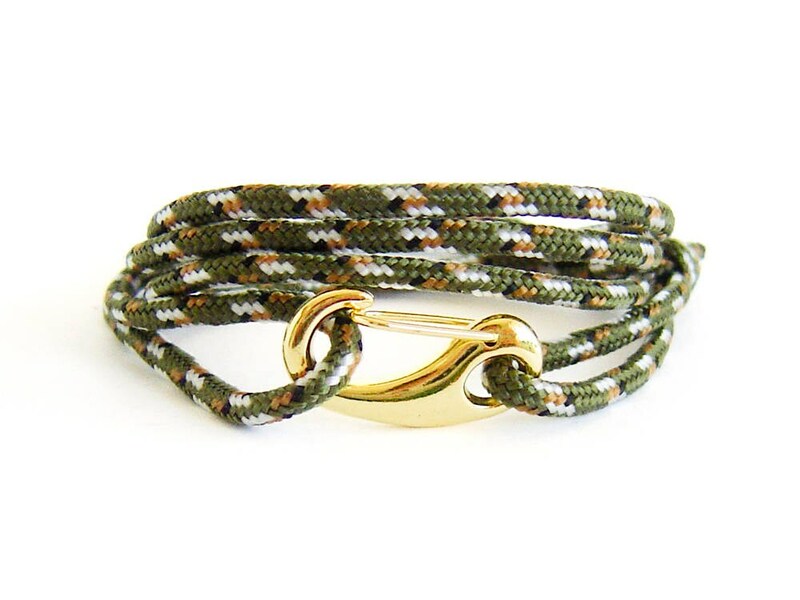 * Olive green and gold clasp. 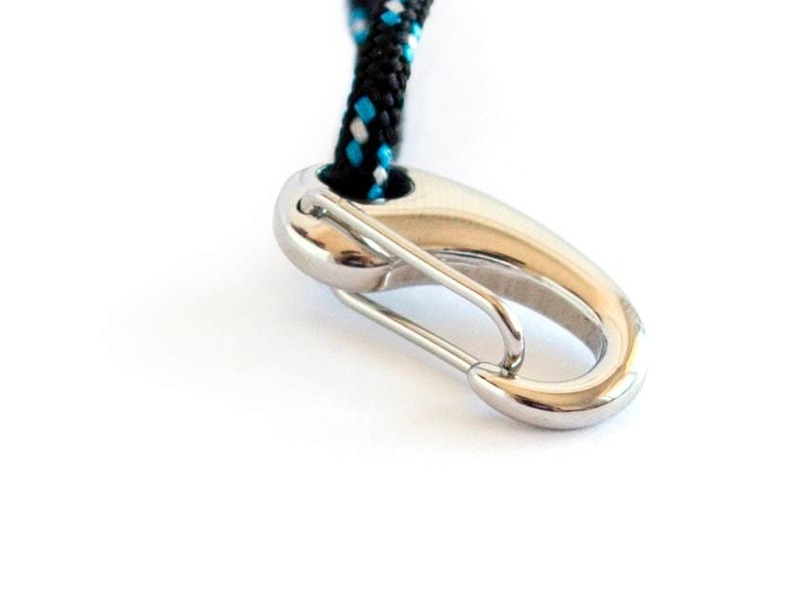 For clasp we used luxurious mini steel carabiner in gold or silver colors. It can be opened easy even with one hand. 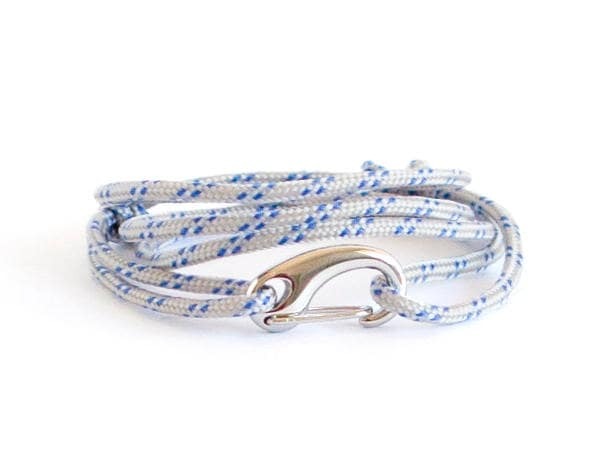 The length of rope is 70 cm (27 9/16"). 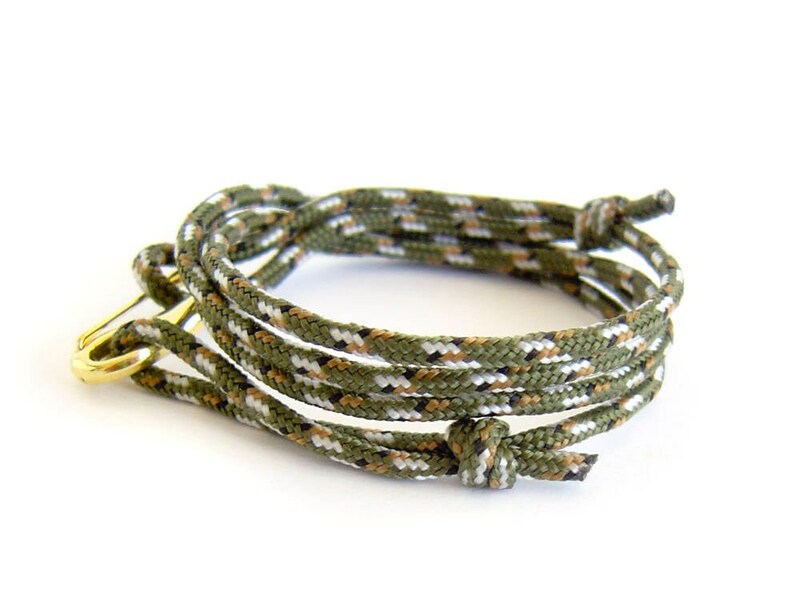 The diameter of rope is 2 mm (1/16"). 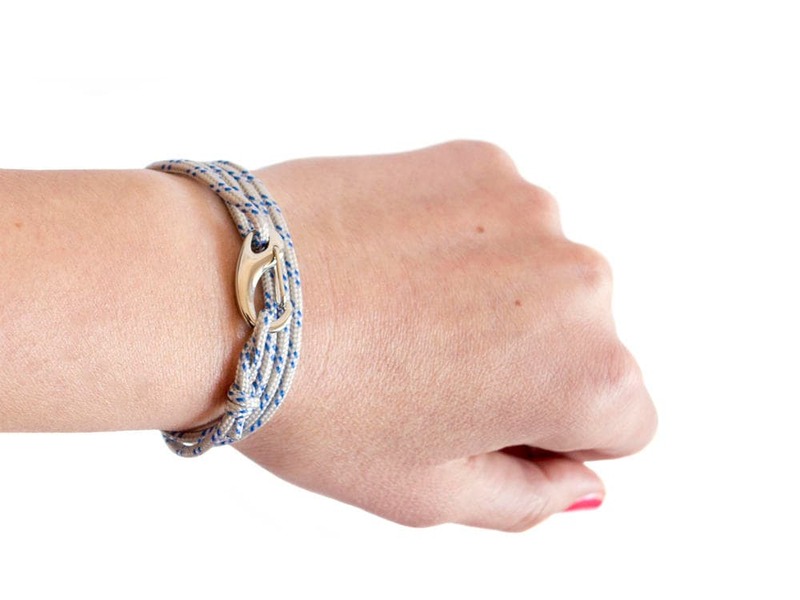 The clasp of this wrap around bracelet is 21 mm (13/16") to 11 mm (7/16") to 3 mm (1/8"). 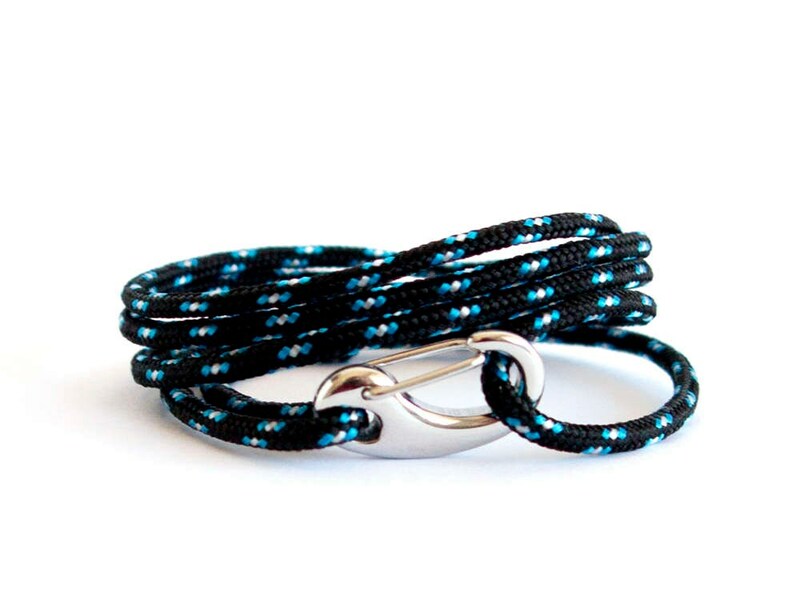 You can use this men's bracelet as a gift for boyfriend, as bracelets for women (or girlfriend), or even as unisex anklet.